Make someone’s Christmas. A gift wrapped subscription is the gift that keeps on giving. Who’s the special person in your life who would love recipes for slow food shared with friends, inspiration for home and garden, and learning new skills? They’ll enjoy 12 months of The Simple Things delivered to their door. 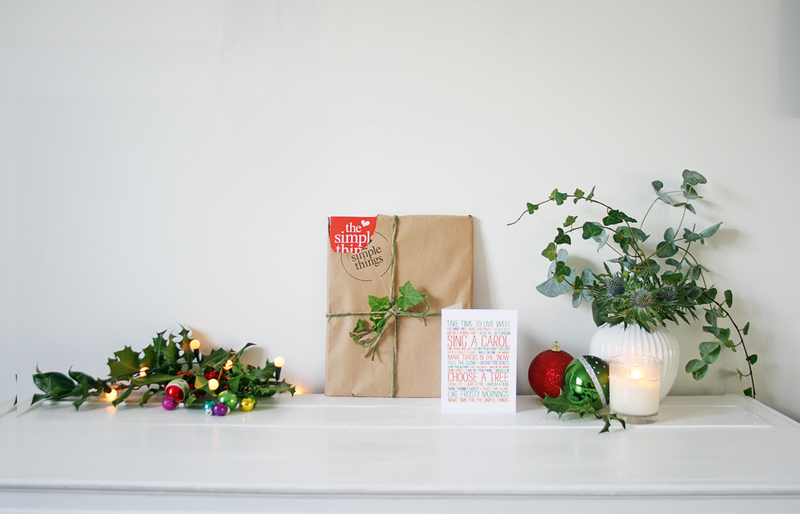 We’ll giftwrap the first issue of their subscription in brown paper and string and send it (just in time for Christmas) along with a Christmas card on your behalf. Want to hand over the first issue yourself? That’s fine, too – just let us know in the box on the order form. Just £44 – saving 26% on the usual cover price. We are a small team so at busy times we may be an answerphone – leave us a message and we’ll call you back. Terms and conditions: Saving compares to buying 12 full priced issues from the UK newsstand. This o er is for UK subscriptions only – if you’d like a giftwrapped subscription and live overseas, then please contact us. Giftwrapped issues will be the January 2018 issue and will be delivered in time for Christmas. Last order date: 17 December 2017. Prices correct at point of print and are subject to change. For full terms and conditions please visit icebergpress.co.uk/tandc.